The Scottish Tenant Farmers Association has welcomed the latest Code of Practice on the Maintenance of the Condition of Tenanted Agricultural Holdings which will help address the state of farm fixed equipment, so often a cause of disputes between landlords and tenants. This Code has been issued by the Tenant Farming Commissioner, Bob McIntosh, as a result of visiting farms and seeing the problems first hand. Commenting on the latest Code of Practice STFA Chairman Christopher Nicholson said; ‘Responsibility for fixed equipment on tenanted holdings is usually a joint one between landlord and tenant. The division of obligations between landlord and tenant can be a grey area depending on the terms of the lease. Many tenants have had difficulty persuading their landlords to carry out renewals where needed since the only remedies available to tenants have involved applications to the Land Court to withhold rent. The costs of such remedies are difficult to justify, and this latest Code of Practice will provide both landlords and tenants with a cost effective means of ensuring that maintenance obligations are met by both parties. ‘With many areas of Scotland experiencing extreme weather patterns, farm outputs and efficiency are becoming increasingly dependent on adequate levels of well-maintained fixed equipment, and it is clearly in the public interest to ensure that farm infrastructure in the tenanted sector can compete with the owner occupied sector. The timing of the publication of this Code of Practice sits well with a recent article in the Scottish Farmer titled ‘Safeguarding the future of farming infrastructure’ where CKD Galbraith partner, Robert Taylor, points out the difficulties faced by tenant farmers in financing necessary fixed equipment. He goes on to say that sympathy is needed from landlords if tenants are to survive poor financial years and that landlords’ expectations of ever increasing rents may not be achievable. The Scottish Tenant Farmers Association has welcomed the publication by the Scottish Government of its report ‘Testing of the Rent Review System’. The report models the new productive capacity rent test contained in the Land Reform Act (Scotland) 2016 and has been produced by Savills with input from agricultural solicitor Hamish Lean and land consultant Watson Bell. Commenting on the publication of the report STFA Chairman Christopher Nicholson said; ‘STFA welcomes the progress being made towards implementing a new productive capacity rent test to replace the current flawed test based on the open market. We have been campaigning for over a decade for the replacement of the open market test which has become increasingly unworkable and has always acted against tenant’s interests due to the land market’s inherent imbalance in supply and demand. ‘The failures of the open market rent test have been amply demonstrated this year with rent demands from landlords seeking unjustifiable and unsustainable rent increases well in excess of inflation at a time when support payments are falling and commodity markets face uncertainty due to Brexit. The new productive capacity test should allow rents to follow farm incomes and profitability as has been the case in England and Wales for over 30 years since the replacement of their open market rent test in the 1980s. ‘This report shows that a rent test based on the physical output of the holding using only the land and fixed equipment provided by the landlord can be used to set a fair rent with transparent methodology. We believe that the report is heading in the right direction but there is still much work to do on the details and the success of the new rent test will be dependent on getting everything right. ‘With the new productive capacity test based on output using only the land and fixed equipment provided by the landlord, tenants must realise the importance of documenting all their tenant’s improvements so that they are excluded from the rent calculation. We would urge all tenants to make progress with the amnesty for improvements, it will be vital for future rent reviews in addition to ensuring fair play at way-go. 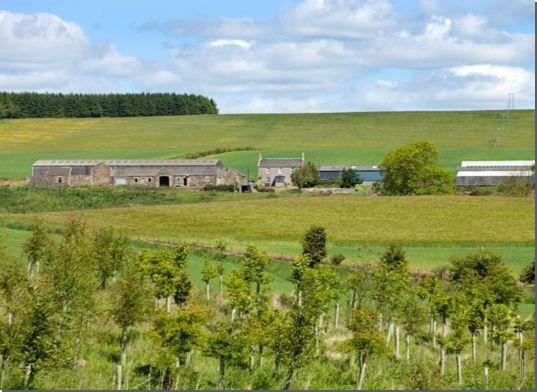 In welcoming the publication of the Scottish Crown Estate Bill last week the Scottish Tenant Farmers Association have welcomed signs that plans are underway to continue to manage the rural estates nationally. 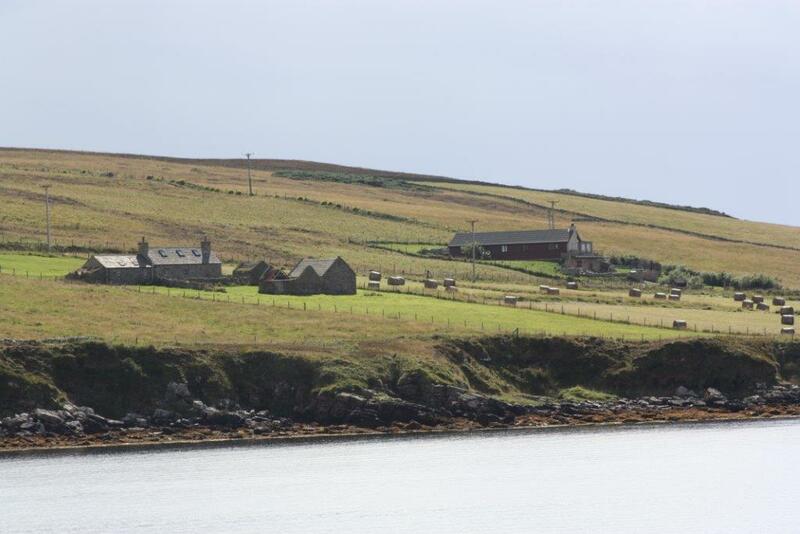 Farming tenants had expressed their concerns that in dividing the Crown assets the rural estates might be split up and brought under the management of local authorities. The Crown Estates comprise a large and diverse portfolio of rural and urban land, foreshore and mining rights, including several thousand hectare of tenanted farming land and the intention behind the Bill is to give local communities greater control over these assets in their area. However, the Cabinet Secretary, Roseanna Cunningham has recognised that the devolution of management of these assets to local communities will not be appropriate in every circumstance and in some situations, it may be necessary for some assets to continue to be managed at a national level. The tenants on the four rural estates are firmly of the view that it would be more appropriate for the rural estates to be managed directly by the Scottish Government, or a body set up for the purpose rather than becoming devolved in the future to local authorities who have neither the skills nor the experience in managing agricultural estates. This view has acknowledged by the Cabinet Secretary. Commenting on the situation STFA director Angus McCall said: “Having been worried about their future post-devolution the farm tenants have united to form a working group with representatives from all four estates to put forward their point of view and this group has met with ministers and civil servants on a number of occasions. They will be relieved that their concerns have been taken on board in the new Bill and ministers have signalled their intention to continue to manage the rural estates themselves. “This is an important step as the rural estates have traditionally benefitted from being part of the wider Crown portfolio which has allowed to spread some of the surplus income from one sector to another. Although the rural estates have a high capital value and make a significant contribution to local communities and the environment, they produce a relatively low-income stream and this move will allow continuing investment in the farms providing the tenants with the security and confidence for the future development of their businesses. “The Scottish Government has been carrying out some major reforms to the tenanted sector over the last few years which have now been enshrined in the Land Reform Act, being implemented over the next couple of years. As a major agricultural landlord, the Scottish Government will now have the opportunity to take the lead in making use of these new provisions to stimulate investment by both landlord and tenant, encourage the smooth transition of farms from one generation to the next, ensure fair rents for all and create opportunities where possible for the next generation. The Scottish Tenant Farmers Association is calling on Forestry Commission Scotland to refuse applications for woodland creation on arable land on the banks of the River Spey in the Cairngorm National Park. STFA considers that arable land is a scarce commodity in the CNPA area and a valuable asset which should not disappear under trees for the short-term gain of taxation benefits and forestry grants. The STFA has been responding to the Forestry Commission’s consultation on proposals to plant trees on arable land on Pityoulish Estate by Scottish Woodlands on behalf of the owners. 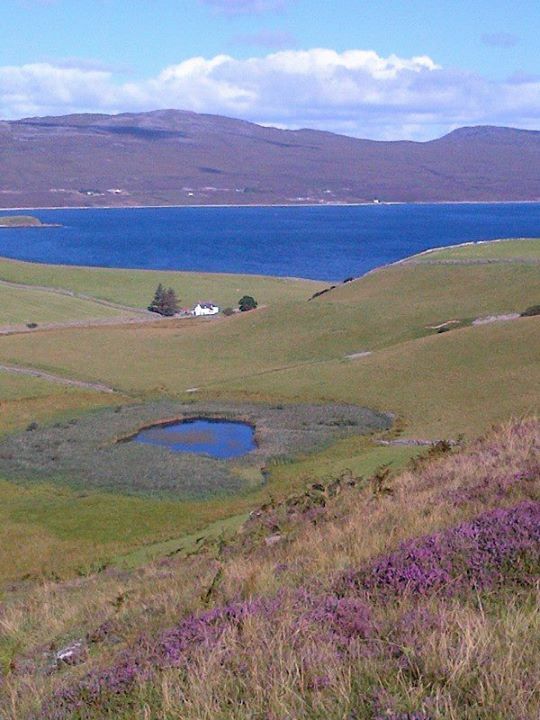 Pityoulish consists of approximately 880ha, with more than 700ha being heather hill, plantations, marshland etc., about 90ha ploughable and the rest rough grazing. The estate is already quite heavily wooded and the plans are to create a further 140ha of Native Woodland, regenerate 100ha of Caledonian Pine Wood and plant over 112ha of Commercial Woodland on the better land. 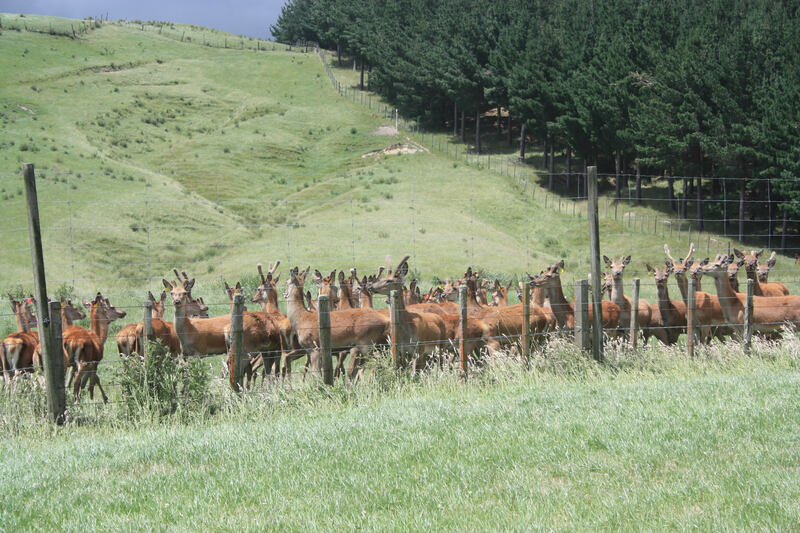 The owners plan to manage the balance of unplanted land with a mixture of grazing licences, contract farming and environmental schemes. 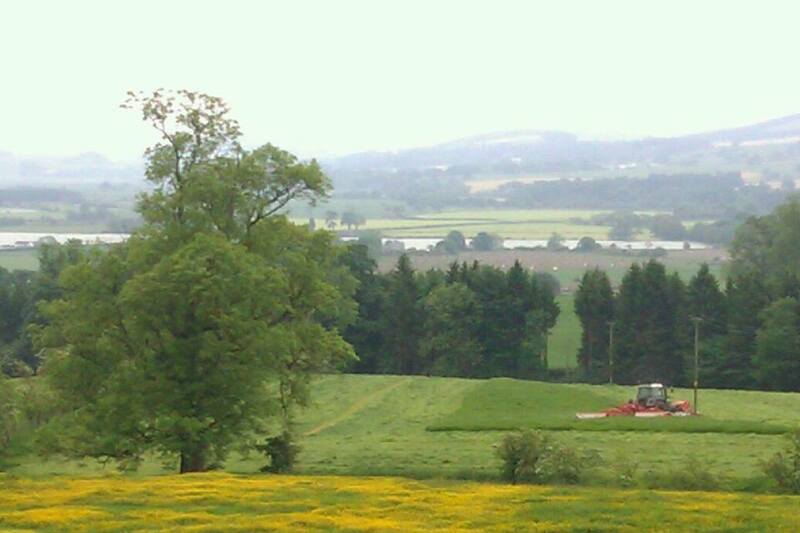 The application emphasises the relationship between commercial forestry and farming and observes that, by planting a proportion of agricultural fields the feel and appearance of a mixed farm and forestry landscape will be maintained. However, STFA believes that the reality is that the proposed management regime will prove uneconomic, difficult to manage and will soon lead to a further application to plant trees on the rest of the land. Commenting on the planting proposal, STFA Chairman Christopher Nicholson said; “This woodland creation application flies in the face of the agreement reached by the cross industry Woodland Expansion Advisory Group, that decisions on tree planting proposals should take account of the quality of the land in a local context. Plainly arable land is a scarce commodity in the Highlands in general and the CNP area in particular, and STFA believe that it should be maintained as farmland for the sake of future generations. “STFA is aware that, influenced by the prospect of falling returns from upland farming, there are a number of landowners who are making similar plans to plant trees on farmland. The current drive to meet increased planting targets through advantageous planting grants, favourable Capital Gains Tax and Inheritance Tax regime for woodlands, a tax-free crop on harvesting, combined with the ability to continue to access agricultural payments as “in hand” farmers make woodland creation the obvious answer. The Scottish Tenant Farmers Association has welcomed the commencement this week of Modern Limited Duration Tenancies created in the Land Reform Act 2016. The MLDT, replaces Limited Duration Tenancies on 30th November and will be the new letting vehicle for leases of 10 years or longer. MLDts are very similar to LDTs although there are some important differences which are designed to make them more attractive to landlords. There is now much more freedom to agree fixed equipment provided by the landlord and, as in LDTs virtual freedom of contract to agree rent review provisions, although tenants must be allowed to initiate a rent review and upwards only rent reviews are prohibited. An important innovation is a 5 year break clause for new entrants and a landlord will be entitled to bring the tenancy to an end after the first 5 years if he is not using the land in accordance with the rules of good husbandry or has not complied with provisions of the lease. MLDTs are subject to the same succession provisions as 1991 Act tenancies and improvements are treated the same way as 1991 tenancies and LDTs. An important caveat remains for prospective tenants to carry forward improvements from a previous tenancy. Commenting on the new MLDTs, STFA Chairman Christopher Nicholson said; “The provisions in the Land Reform are taking some time to be enacted, largely due to the amount of complex secondary legislation required so we are pleased to see that the new style MLDTs have now become available. We hope that MLDTs will soon become the norm in letting land and we are pleased to note that there are already new tenancies on the point of being signed, some for substantial periods on time. “Since Limited Duration Tenancies were first created in 2003 there have been a number of changes to address landlords’ concerns. Minimum term lengths have been reduced from 15 to 10 years and the latest reform introduces break clauses to allow landlords to get rid of an unsatisfactory new entrant and a get out of jail card for a new entrant in an unsatisfactory tenancy. Rent reviews are subject to virtual freedom of contract and so there are now very few reasons for landlords’ not to use MLDTs. The Scottish Tenant Farmers Association has welcomed the latest Code of Practice on Sporting Rights on tenanted farms as a timely reminder of the potential disputes that invariably arise where there is dual land use by agricultural and sporting tenants. 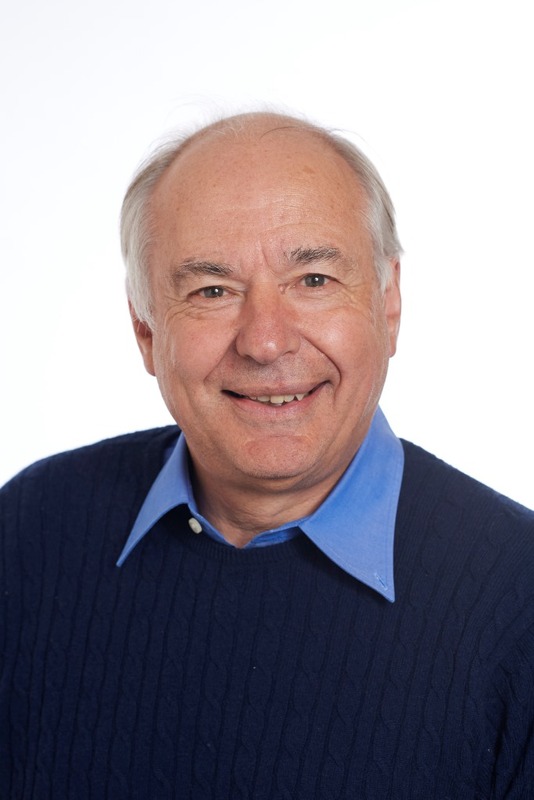 The Tenant Farming Commissioner, Bob McIntosh has just issued his third code of practice for the management of relationships between agricultural tenants and those exercising sporting rights over tenanted land. Commenting on the latest code of practice STFA Director Angus McCall said; “Generally speaking, the impact of game sports is felt most acutely on lowground and upland farms where pheasants are introduced into rough cover to provide shooting for sporting tenants. The occupying tenant farmer, depending on the farm to make a living, understandably feels that agricultural production is the main purpose of the lease and sporting activities should take second place and fit in with farming practices. Problems have increased in recent years as the income from sport has become more important to landowners and pheasant numbers have risen. Over-enthusiastic gamekeepers, eager to provide good sport for their clients can make matters worse. The law provides redress for game damage to crops but the conflicts between agricultural and sporting tenants are less easy to resolve. “However, tenant farmers must accept the value which sporting activities may have for the landlord and his right to exercise them and be prepared to co-operate with the sporting enterprise and arrange farming activities accordingly. In return, sporting landlords should treat farming interests with consideration and respect, make good any game damage promptly and make sure that the sporting activity takes place within clear guidelines agreed at the start of the season. It must be remembered that the land is usually let primarily for agricultural purposes and shooting interests cannot be allowed to run roughshod over farming businesses. The Scottish Tenant Farmers Association has welcomed the start of a government survey of professional agents representing landlords and tenants. The survey is an all-important first step in gathering information for the Tenant Farming Commissioner’s review of the operation of professional agents which, under last year’s Land Reform Act must be completed by next Spring. In its Autumn newsletter STFA has alerted members to expect a call from the survey contractors and if contacted, to make sure they respond openly to the questions asked. All answers will, of course be treated in absolute confidence. Commenting on the survey STFA Director Angus McCall said; “This survey is an important piece of work in providing the TFC’s review with real evidence of how professional agents are operating on the ground. Although most agents behave in a responsible and professional way, STFA has long been aware of bad practice which has always been difficult to substantiate. The TFC’s review should now be able to put some facts to the anecdotes for all to see. “Landlords and tenants have become increasingly reliant on their professional advisers who now exert a disproportionate influence over the way in which let land is managed and on the relationships between landlords and tenants. Nowadays landlords invariably engage outside firms of land agents to factor their tenanted farms. The days of the traditional management style of the residential estate factor living on the estate and knowing the tenants are long gone to be replaced by commercially driven firms of land agents with little personal knowledge of the estate and often the workings of the tenanted system. This lack of understanding and sometimes tactless behaviour usually comes to the fore during rent reviews leading to conflict and acrimony. The Scottish Government is conducting a housing survey of the condition of rented accommodation in all types of agricultural tenancies. At present rented accommodation held under agricultural tenancies is only subject to a “tolerable” standard which, in other circumstances, is regarded as a condemnatory standard falling far below the minimum repairing standard expected for private rented housing. In the long term the Scottish Government would like to bring the quality of agricultural housing conditions in line with other rented accommodation in Scotland. This survey will cover all housing on agricultural tenancies and small landholdings including the farmhouse, farm workers cottages and sublet accommodation. Commenting on this initiative STFA Chairman Christopher Nicholson said: “STFA has been concerned for a number of years about the state of some farmhouses and the conditions in which some tenants are expected to live. Housing held under an agricultural tenancy has always been exempt from the Housing Acts, with the landlord’s responsibility being limited to renewing and replacing what was provided at the start of the lease. Improvements are expected to be carried out by the tenant. In practice, most tenants have improved farmhouses and other cottages to bring them up to an acceptable standard, and, indeed there are some landlords who have also invested in housing accommodation. “However there are still many tenants occupying houses which are well below minimum repairing standards whose landlords are reluctant to even carry out their basic obligations to keep buildings wind and watertight. In these situations, tenants have been unwilling to invest in improving the farmhouse without any guarantees of compensation at the end of their tenancies, especially where landlords have not fulfilled their side of the bargain. “Responding to this government survey may not be top priority for many tenants still pre-occupied in gathering in harvest and other autumn work, but STFA would strongly advice all tenants’ wives and families to seize the initiative and complete and return the survey as soon as they can. This is the first comprehensive survey to be carried out on the condition of the housing stock on tenanted holdings and will help build a picture of and give an indication of the scale of the task to bring all tenanted housing up to acceptable standards. STFA is urging all tenants to respond to this important survey which is running from 25th august to 20th October 2017. Responses to the survey will be treated in strictest confidence. The Scottish Tenant Farmers Association has hailed the news that Scotland’s Tenant Farming Commissioner, Bob McIntosh, has begun work on the review of agents as a major milestone towards the improvement of relationships between landlords and tenants. The review will look at the views and experiences of tenant farmers and landlords with regard to the conduct of professionals engaged by either party to act on their behalf in matters relating to agricultural holdings. “The spectre of a review of the conduct of professional agents has already seen an improvement in their behaviour and the creation of a Tenant Farming Commissioner has provided tenant farmers with an independent ombudsman to whom they can have the confidence to refer complaints and seek advice. This review should pave the way for the creation of recognised codes of conduct to complement the codes of practice already being established. “Landlords’ increasing reliance on the advice of professional agents as the rural economy and the tenanted sector becomes increasingly complex puts them in a pivotal position to influence land management in Scotland. In light of the undoubtable impact that estate management has on the wider community and rural economy STFA believes the TFC’s review should also examine the advice being given by professional agents on the management of that land. 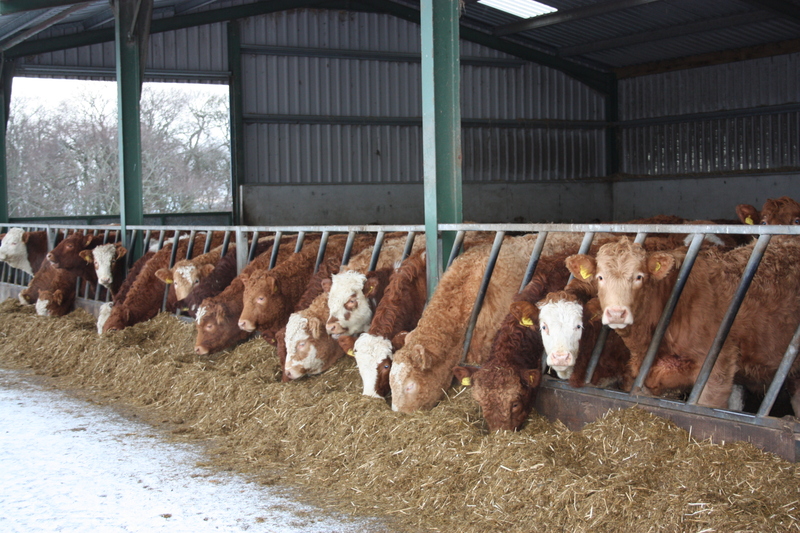 Brexit presents a tremendous opportunity for the UK livestock sector, but Government needs to start acting now to help achieve progress in winning new markets around the world and retaining existing markets, according to the UK Livestock Brexit Group. While the livestock sector, alongside its levy bodies and Government departments, as well as the poultry sector, has commenced the important process of finding new markets since the referendum, the UK and devolved Governments have a necessary and critical role in helping to support and accelerate the long hard work required. That is the message from UK Livestock Brexit Group chairman, Chris Dodds of the Livestock Auctioneers Association. Only effective action by Government can open some doors for new markets overseas, with the rules set by other countries. The UK Livestock Brexit Group is urging Government to engage now with livestock farming sector organisations to put in place a strategic framework for the future of the industry with high standards at home and energetic promotion abroad. “The UK is a high-quality producer of premium meat products, with traceability, good health and welfare and food safety among the key attributes of the UK livestock supply chain. We need to champion Great British produce and make sure that trade deals enable our producers to maintain high standards,” says Mr Dodds. The UK Livestock Brexit Group believes if high UK standards are to see a premium price, Government should emphasise the provenance of UK produce and its existing high standards in trade promotion. That will help to replace imports at home, as work progresses to ensure standards are not undermined through those imports that do enter the market. It is also essential for individual Governments to work closely together, thereby ensuring a unified approach to negotiations and trade deals. Mr Dodds adds, “While the group’s view is that maintaining access to the EU market should remain the priority, we have also opened up export markets that many British consumers may not even realise exist. Products such as chicken feet and pig’s trotters have limited demand from the UK consumer, but there is good demand for these, along with prime meat products, in new Asian markets, adding value for UK producers. Recognising there is much to do, and much to clarify, the group believes now is the time for the Government to take a proactive stance. “We know it takes time and commitment. Livestock production and trade is a long-term, complicated and technical subject. We are pleased that ministers have now been talking about transition periods, giving the time needed for the work to be done. Countries don’t take short cuts with food; why would they? But it means this takes time, and to be ready with markets after Brexit we need to be working hard now,” continues Mr Dodds. As the largest and most progressive group across the sector, the UK Livestock Brexit Group was formed in August 2016 and now includes representation from 21 of the leading bodies with livestock interests across England, Scotland and Wales. The UK Livestock Brexit Group was formed in August 2016 as a collaborative group of key stakeholders from the livestock sector across England, Wales and Scotland to help positively support the UK and devolved Governments to plan a route forward for farming after Brexit. The collaboration of the livestock farming industry organisations, working as The UK Livestock Brexit Group, brings together specialist knowledge and industry representation to consider the potential consequences and implications of the many decisions in the Brexit process for the livestock industry, and offers support and help to the Governments and their administrations. 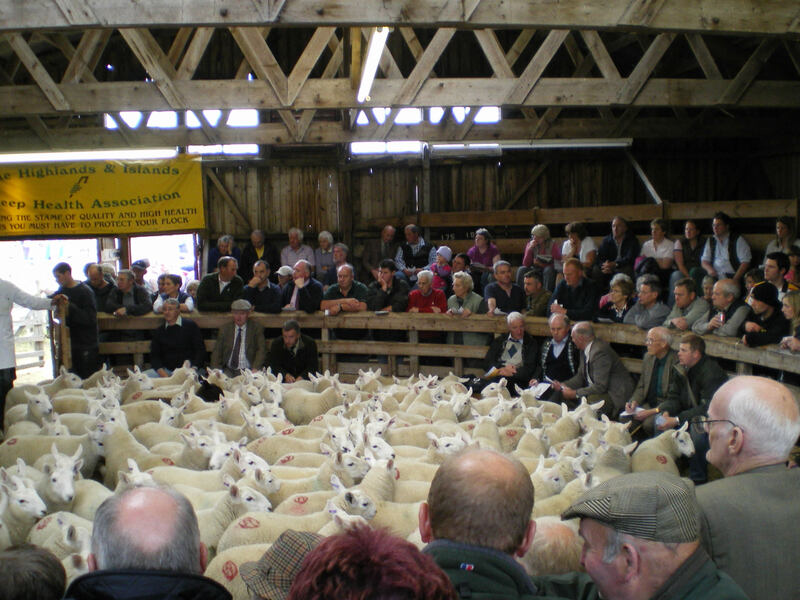 Livestock Auctioneers Association (LAA), National Sheep Association (NSA), National Beef Association (NBA), British Poultry Council (BPC), Tenant Farmers Association (TFA), National Pig Association (NPA), Royal Association of British Dairy Farmers (RABDF), Association of Independent Meat Suppliers (AIMS), Tenant Farmers Association Cymru (TFA Cymru), Institute of Auctioneers and Appraisers in Scotland (IAAS), Scottish Tenant Farmers Association (STFA), National Farmers Union (NFU), National Farmers Union Scotland (NFU Scotland), National Farmers Union Cymru (NFU Cymru), Country Land and Business Association (CLA), The Central Association of Agricultural Valuers (CAAV), British Meat Processors Association (BMPA), Scottish Association of Meat Wholesalers (SAMW), Scottish Beef Association (SBA), British Pig Association (BPA), Farmers’ Union of Wales (FUW).